Virtualizing panels are involved when an application’s performance needs to be improved. It provide a base panel for virtualization of children elements inside it. Instead of creating all the UI element which are inside an ItemControls, only the one which need to be displayed are created. Because the process of creating these elements is intensive, the use of a VirtualizingPanel makes an item controls display faster. 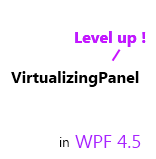 The VirtualizingPanel comes with new features in WPF 4.5: two properties named ScrollUnit and CacheLength and virtualization on grouped data. In this post we will discover them in details. This post is a part of a serie on WPF 4.5 new features. For each item list used in a WPF application, a collection view is in fact created and used by the controls. This view enables navigation, filtering, grouping and sorting from the XAML or the code. It is a very powerful feature that is offered to the developers since a long time in WPF. In WPF 4.5 as in WPF 4.0 the grouping, sorting and filtering operations are done when the item is added to the collection or when the Refresh method is called. The drawback is that if an item property value involved in one of these operations is updated, then the sorting/grouping/filtering will not be done again. WPF 4.5 introduce a feature called live shaping which shapes the collection view in live. Let’s dig a little more this feature. This post is the tenth part of a serie on the WPF 4.5 new features. 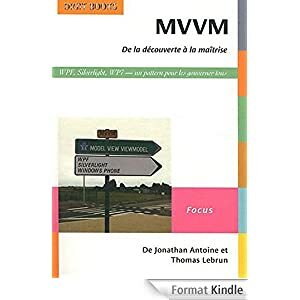 MVVM : De la découverte à la maîtrise – my book is out ! MVVM is the pattern to know when building WPF, Silverlight, Windows phone and even WinRT (for what I know!) application. There is already some good books in english which can help the developers to discover and understand it but there were none in French. This is no more the case because my friend Thomas Lebrun (blog, twitter) and I wrote one entitled “MVVM De la découverte à la maîtrise”. The french store, “FNAC” is selling it too ! There is two different ways to make a property bindable: implementing INotifyPropertyChanged is the most known solution, the other one is to create a event named PropertyNameChanged. In WPF 4.0 there is no way to create a static property which can be used by a binding with property change notifications. 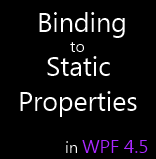 In this post, part of a serie on the WPF 4.5 new features, we’ll see how it can now be done! Integrating win 32 component is already possible in WPF 4.0, even in WPF 3.5 but there is the well-know issue : airspace problems. Each render technology belongs to only one airspace only. So when you place Win32 components in your WPF application they behave as black hole for input, render transformation are not (well) applied, etc. 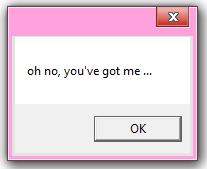 With this 4.5 release, the WPF team solves this drawback. In this post more explanation and an example of how it improves developers’ life will be gived. 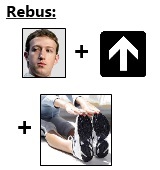 Here is the seventh (OMG !) post on the WPF 4.5 new features. Collections are a part of every application and their management is maybe the first thing you learn to deal with in WPF. To begin, you put everything on the main(the UI one) thread and it works just fine. After a few time, you realize that it freezes the application UI and that the users usually don’t like it. 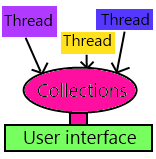 Then you put the collections creation/feeding on another Thread to free the UI’s one and you realize that it is not possible because : “This type of CollectionView does not support changes to its SourceCollection from a thread different from the Dispatcher thread”. In this post we will discover that this is over with WPF 4.5 (and that you’ll love it) ! UPDATE: WPF 4.5’s MarkupExtension : Invoke a method on the ViewModel / DataContext when an event is raised. We have seen in a previous post that WPF 4.5 enable the use of custom markup extensions to provide event handlers. In this post we’ll see that we can execute a method on the DataContext of the control when an event is raised using this new ability of the MarkupExtension. With some tiny modifications you can run it on Silverlight too ! The first time I read about this new feature and its description, I just shake my head and thought : “what is this ?”! Then Rob Relyea, the ex-PM of the WPF team and Fabien Lavocat save my day via Twitter : “create a delegate in the provide value method“. In this post, which is a part of a serie on the WPF 4.5 new features, we will discover what means exactly “Markup Extensions for Events“. BindingExpression is a useful API when working with Bindings from code. In WPF 4.0 it lacks some information which would have made it even mode helpful. Let’s discover what WPF 4.5 brought with him on this class. For the record, this post is a part of a serie about WPF 4.5 new features. If you read the MSDN page on the new WPF 4.5 features, you’ll find it under the label “Automatically updating the source of a data binding“. 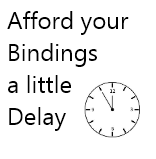 This is more precise and understandable to me to say that a ‘Delay’ property has been added to the Binding markup extension ! This post is a part of the serie on WPF 4.5 new features. By reading it you’ll discover what is the goal of this property, how to use it and some scenario where it is really useful and smart to use it.